Click on a graduate's photo to hear them talk about our program. 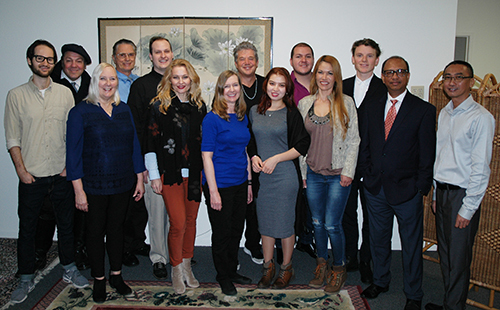 Congratulations to our recent Banyan Hypnosis Center Graduates! “I simply loved every minute of this class. Many years of experience definitely shows in the performance of this school – well organized, well thought through and extremely well taught by Cal Banyan. This class will teach you to be a master at your craft – Cal’s enthusiasm and expertise shines through and is completely infectious. I had already been qualified in Hypnosis, but, I knew that my education was incomplete. Little did I know how incomplete – I can now go back to my practice knowing that I am fully prepared to give my clients the best service with the confidence that will help me know that I have everything needed to be an excellent Hypnotist. Thank you, Cal and Maureen for an unforgettable experience, it was a privilege to be a part of it.” -James Hood, Altadena, CA. “There is no comparison to this course. Cal Banyan is not only a master in his profession, but a performer and a wordsmith. Paying attention in class is done with ease, even for the most easily distracted student. I would recommend this course to anyone who enjoys being happy and successful.” -Wyatt Deane, Anaheim, CA. “Beyond my wildest expectations, this class prepares, entertains and transforms students. The course material is unique and thorough. However, the value in this class stems predominantly from the owner, you will learn from the best of the best. Cal’s teaching style inspires you to want to be him! He’s intelligent to the degree that he has transformed the profession. If you want to have the learning experience of a lifetime, sign up! You will be pushed out of your comfort zone into a life-changing career.” -Linda Cummings, B.S., Huntington Beach, CA. “When the student is ready, the teacher will appear. When you are ready for an amazing teaching on how to practice or teach Hypnosis on the highest level available today, Cal Banyan is the one who has appeared. Are you ready?” -Monte Julian, Torrance, CA. “Learnt so much in so little time. Cal is amazing and knows how to create professionals. Very well structured training program with lots of hands-on practice, gets you going. Got much more than expected. Great program. Wish Cal and his team all the best.” -Anand Lal, M.Sc. Tustin, CA. “This class and course was a pleasant surprise! I had a great education and therapy at the same time. I was not aware that they mixed mind, body, and spirit! I thought it was going to be sterile and uptight – was I surprise when it wasn’t! I am an artist and it was the best career move for me! Give it a chance – it’s only 2 weeks for the course, but, the use is for a lifetime!” -David Contreras, A.S. San Pedro, CA. “I learned more than what I initially signed up for. The instructors were excellent. The course is very structured and learning become very easy to digest even for a person with limited English, like me.” -Juliana Nogueira, Laguna Hills, CA. “Cal is AMAZING! He really knows his stuff. The course was well laid out – very organized. It is systematic with plenty of time to ask questions and practice. 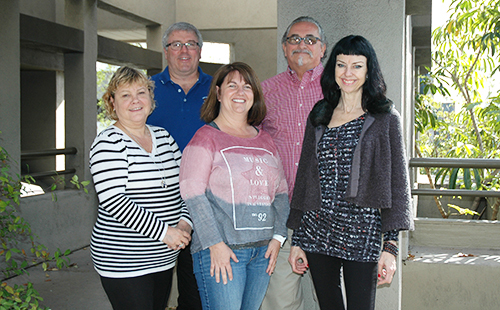 I feel that I can go out immediately and use the skills I have learned.” -Heidi Mackay, B.S., Agoura Hills, CA. - Cat Thomas, CH, Palm Springs, CA. “If you are a 7th Path teacher, this class is a must-do. If you have taken 7th Path, this course is life changing. It will help you find your true self and your true path in life. - Vaughn Brotton, BS, CH, Diamond Bar, CA. “Cal is extremely knowledgeable about the subject but is also a tremendous facilitator with regards to helping people process their insights, emotions and thoughts that come up while learning the Ultimate recognitions. - Martina Berger, PhD, CH, Newport Beach, CA.